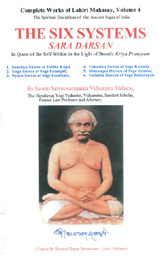 Kriya Yoga Books - Discover Kriya Yoga Books At Vedic Books - Books From India Direct! Kriya yoga is an ancient method of purification and spiritual evolution based on the teachings of the Rshis of the Himalayas. It has been made known to the world in more recent times by Paramahamsa Yoganananda and his teachers Sri Yuketswar, Lahiri Mahashaya and Babaji. If one practicies this science regularly, it allows the subtle energy to be purified in the body clearing the way for God realization.